Anna works with GDCI’s Streets for Kids program, creating a supplement to the Global Street Design Guide. She is an urban planner and specializes in public space design, management, placemaking and civic engagement. Anna has a passion for working with people in communities to create the public spaces they love. Prior to joining NACTO, Anna worked as a Senior Project Associate at Project for Public Spaces in New York, where she contributed to Southwest Airlines Heart of the Community Program to improve underutilized public spaces throughout the United States. Anna has been a presenter and trainer at numerous national and international conferences, seminars and trainings, most recently in Kazakhstan, Netherlands, Russia, and South Korea. Previously, she spent two years in Oklahoma as a Fulbright scholar conducting research on minority communities and assisting the Institute for Quality Communities, a small non-profit dedicated to helping the citizens of Oklahoma to reshape their towns and cities in ways that improve social ties, environment, and economy. Anna holds a Master in Regional and City Planning from the University of Oklahoma, a postgraduate certificate from Strelka Institute’s joint program with Massachusetts Institute of Technology along with BA, MS, Reconstruction in Architecture, with Honors from the Moscow Institute of Architecture. 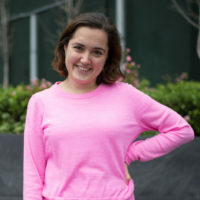 Anna is a volunteer at a neighborhood group programming and managing Parkside Plaza in Brooklyn in an effort to expand public space in the area.